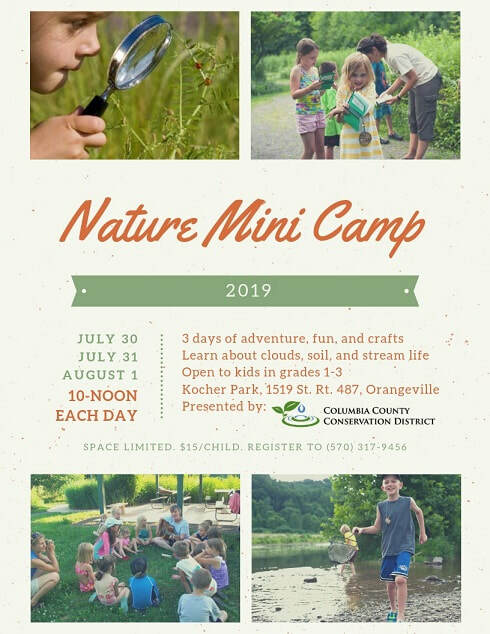 July 30-Aug. 1 from 10am-noon at Kocher Nature Park. Space limited. Please call the district at 570 317-9456 for more information. Click here to see list of birds found at Kocher Park by nature camp explorers.